Ray signed an S form with United in May 1973 when he was just thirteen years old and still a pupil at Perth Grammar School. He was with Errol Rovers in 1975, and captained the Scottish Schoolboys team. At the end of that year, he had signed a professional contract and was playing in the reserves. 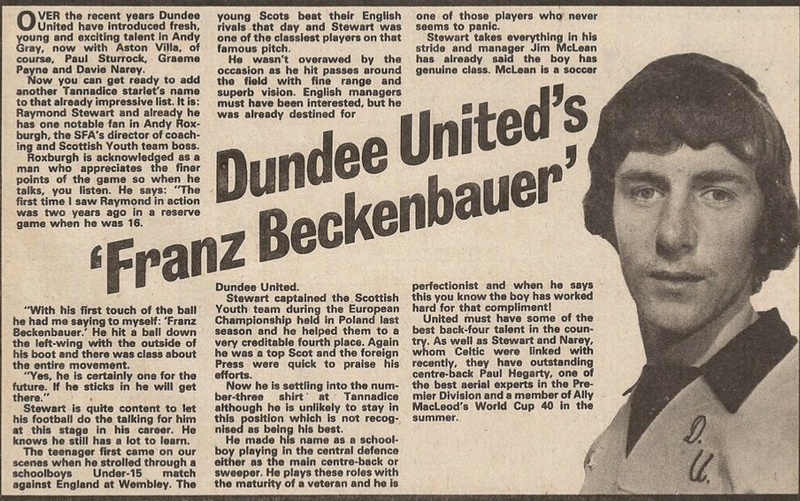 By early 1976 he was established in the Scotland professional youth side, eventually becoming captain and by May 1977 he was involved at Under-21 level. 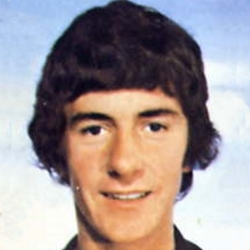 After playing regularly in United reserves, he made his first team debut in September 1976 against Celtic in a League Cup tie, just days before his 17th birthday, but it was another year before he became a first team regular. During the 1978-79 season, Ray only missed two league games as United came close to taking the League title, leading the pack at the end of their fixtures, but being pipped at the post as Celtic won their outstanding matches. Having been voted Young Player of the Year at the SPFA awards in 1979, Ray's talent attracted interest from south of the border and rumours of a move were confirmed when West Ham United bought him for around £400,000 at the end of August 1979, just days before his twentieth birthday. Part of the fee received was reinvested in the construction of the covering for the north terracing. Ray won an FA Cup medal with the London club, where he was the regular penalty taker, missing only ten times from almost ninety attempts. He earned full international recognition with a debut for Scotland in May 1981 against Wales, for the first of ten caps. In 1991 he left West Ham United to join St Johnstone and later played with Stirling Albion. Ray went into management at Forfar Athletic, Livingston and Stirling Albion. Ray was born on this date in Stanley, Perth. An early Hampden appearance lost for United, but plenty of encouragement from their display. put Celtic in front in the 37th minute, bending the ball round the keeper from 30 yards. A Ray Stewart penalty levelled things just before the break. Graeme Payne put United ahead midway through the second half, but a last minute equaliser from Johnny Doyle allowed Celtic to clinch their final place with an extra-time winner by George McCluskey. A Premier clash that United will want to forget as soon as possible. 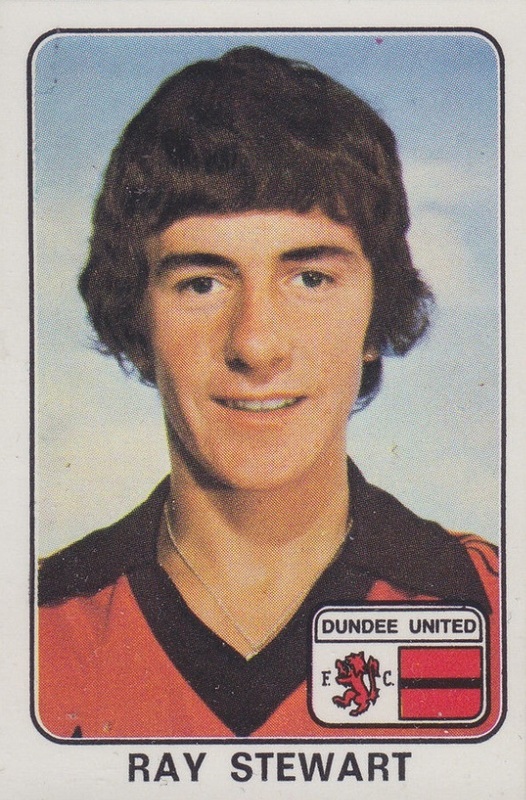 Slack play allowed Mark McGhee to put the Dons ahead and Joe Harper was responsible for adding to that tally before Steve Archibald completed the visiting scoring in the 64th minute. Despite these setbacks United kept plugging away and were finally rewarded when Paul Sturrock grabbed a late consolation goal.